The famous meeting between Tata Group founder, Jamsetji Nusserwanji Tata and Swami Vivekananda is quite very well documented. The duo met onboard a ship and had discussed the idea of establishing a research institute in India along the lines of such institutions abroad. Jamsetji endorsed the vision with enthusiasm and set aside half of his wealth, about Rs 30 lakhs, for the purpose of establishing the institute. This, along with the rent from 14 of his buildings and landed properties in Mumbai that fetched an interest of 1.25 lakhs a year, constituted the initial capital for the formation of the institute. Later, the idea of Indian Institute of Science (IISc) took shape and in 1911, the institute was set up in 371 acres of land, donated by the Maharaja of Mysore, in the heart of Bangalore. IISc was the first among the many institutions the Tata Group had established, that are renowned for their academic excellence and quality research. “The main objective of IISc is education and research—creating new knowledge from research, and training young people on how to do research. Research is the underpinning, not a second thought. The other objective of this institution, given by the founder, is to apply this knowledge to practice for national and societal goals,” says Anurag Kumar, director, Indian Institute of Science. However, it is the interdisciplinary approach—where science and engineering are being taught together—that makes IISc stand out. There are institutions which concentrate only on science or only on engineering, but from the very beginning, IISc has emphasised on both, ensuring that they both coexist. “Although we are called ‘science’ (Indian Institute of Science), the word ‘science’ in the name, refers not only to the sciences like physics, chemistry, or mathematics, it also refers to the emphasis on fundamentals, so, it is science of anything...We are very interdisciplinary, very fundamentals driven,” says Kumar. Besides, also prevalent at IISc is the spirit of independence of mind and thought. “Nobody is told what to do. We hire very good people and then we let them do what they are best at,” says Kumar. Proud of IISc being the No. 1 in the country, he says he wants to improve the institute's position in the global rankings. IISc also boasts a 25-year-old foreign association with the Indo-French Water Cell, funded by the Indo-French programme in Delhi, where civil and chemical engineers look at conserving, cleaning and managing water basins. Also established a few years back, is the ‘Centre for Nano Science and Engineering,’ a Rs 200-crore world-class centre for designing and developing small devices, and doing research in the same. According to Kumar, the areas where important research works are going on are in materials, shock waves and hypersonics. “Materials engineering and materials science… pervades the institute. I would say in terms of quality of publications and quality of faculty, the range of work—all the way from theoretical work, computational work, to actually developing materials and devices—is very strong,” he says. Shock waves is another area of interest. Sonic boom can be trapped and that “energy can be used for various useful things” which are being “experimented” with. “You can use it to impregnate chemicals into materials, to make very strong bamboo, to process tea leaves faster and to push medicines into the skin directly.” In a project with the ONGC, the researchers are trying to see if they can use shock waves to crack rocks so as to extract oil from underground, he says. Hypersonics—relating to more than five times the speed of sound—is another area of research, which is typically used in defence applications. “We have a collaboration with Brahmos, an Indo-Russian collaboration company, where their researchers and our faculty sit together in their respective departments, and research and develop things, for projects,” he says. 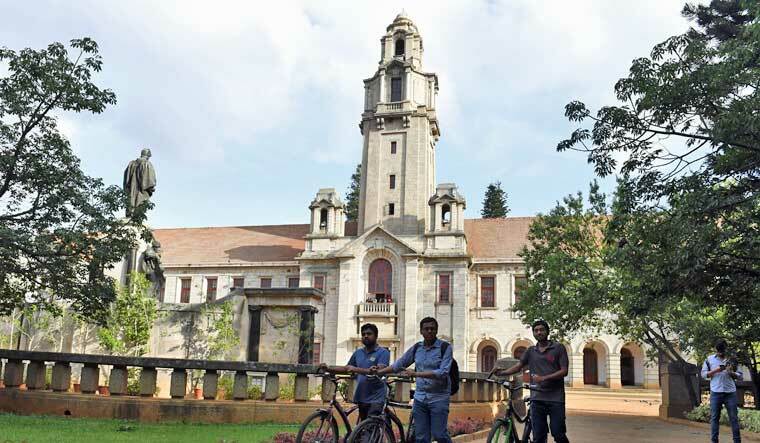 With nearly 60 per cent of the 4,000 students doing Ph.Ds, IISc also provides a space for entrepreneurial growth with a lot of companies starting operations there. “The interesting thing is that it is often the scientists who are starting these companies, people who are doing research in basic sciences; that is another thing we are happy about,” says Kumar. Another landmark contribution of TIFR is the building of India's first digital computer. “It was way ahead of its time in a sense because our computer, built here, was comparable to the IBM computer at that time. But the Indian industry wasn’t quite at a level where it could take an idea like that and run with it. However, while building the hardware our scientists realised the importance of software and what followed was setting up of National Centre for Software Development and Computer Technology (NCSDCT), which later became National Centre for Software Technology (NCST) and C-DAC to train ‘software’ people,” Trivedi says. 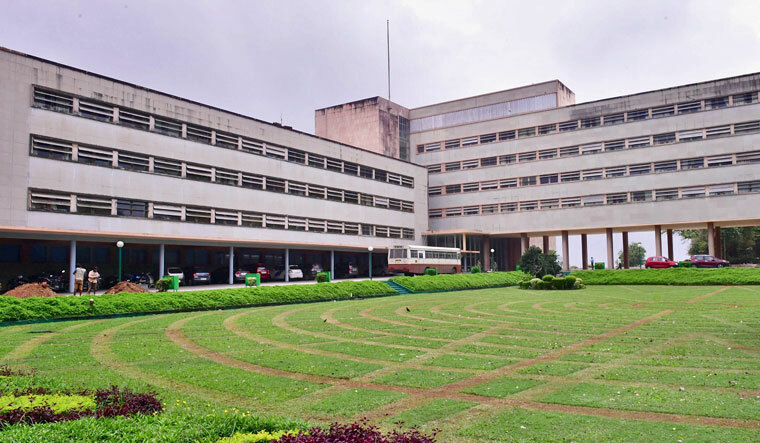 Several individual and group-level international collaborations that are happening at TIFR are “connected and competitive with science going on abroad at some of the top places,” says Trivedi. “A key collaboration is in our high energy physics group where our scientists look at very high energy collision of particles occurrence at CERN, a laboratory in Geneva, Switzerland.” Another important collaboration is rooted in India, and involves the Giant Metrewave Radio Telescope (GMRT), one of the world’s largest radio telescopes, near Pune, built and operated by TIFR. “We opened up this telescope to the international community soon after it was built, and today, I am happy to say that 50 per cent of the observing time on a competitive basis is actually taken by international observers. It is a highly sought-after instrument. Now, you can also access the telescope remotely,” he says. Besides, “TIFR has been involved with the ESA and NASA in tracking their Martian missions for them at critical junctures,” he says. Among the recent projects that have made TIFR proud is Ashoke Sen's works. Sen won ‘The Breakthrough Prize’ for his work in the field of String Theory, which attempts to understand the ultimate origins of the universe, and what space and time are really all about. In Biology there is the landmark work of NCBS-TIFR’s Satyajit Mayor. “He made a key discovery on the nature of the cell membrane and what allows it to transfer things from inside out and vice-versa. A discovery that has many possible implications for pure science and application,” Trivedi says. With a profound understanding that science permeates into every aspect of our lives, Trivedi talks about the need for a new integrated campus, where researchers can carry out work across the entire gamut of activities from computer science to biology in an integrated way. The vision is expected to materialise at the new campus coming up in Hyderabad. The state government had allotted 200 acres of land for the new campus. “The request for a second round of funding, which will be around 1,000 crores, has been met positively by the government so far, and is at the PMO... We are poised at this very interesting juncture hoping for some good news,” says Trivedi. He also expressed confidence that the new campus will pay rich dividends across the broad range of scientific activity, benefitting the whole country. Now, a deemed university, TIFR’s new campus, “will train more Ph.Ds, as higher education and the need for high level faculty expand,” he says. The Tatas not only contributed towards building the future of India through sciences, they also contributed towards having a quality academia in social sciences. For 82 years, the Tata Institute of Social Sciences (TISS) has empowered students to become enablers of a social change. “The vision of the institute is to equip professionals with skills that help create a people-centred, ecologically sustainable and just society,” says Shalini Bharat, acting director, TISS. And towards that, the Tatas has contributed enormously. “The Tata Trusts has been a support system for TISS from the very beginning. From supporting several new initiatives and providing grants to build infrastructure, the Trusts has supported hiring of faculty for several new programmes that started in 2006. Currently, close to a hundred faculty members are supported by Tata Trusts as also are many field action projects (FAPs). The Trusts also provide scholarships and one Chair position,” she says. According to Bharat, what sets TISS apart is “the unique interplay of academic excellence, community engagement and social research”. 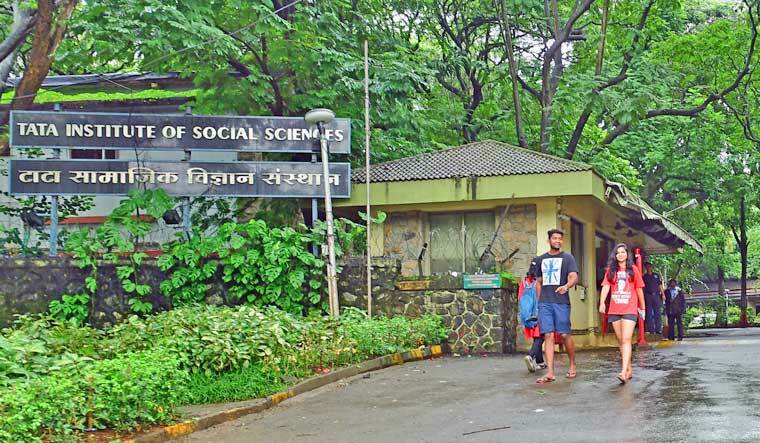 Being the only social science university in the country, TISS offers “a multi-inter-disciplinary educational programme and field-based pedagogy" that stands out as its USP. The programme allows for not just “classroom learning” but also allows for it to be blended with the community, while allowing “industry immersion”. “Another USP is the field action projects considered to be in the DNA of the institute,” says Bharat. What it means is that the TISS students not only get a research exposure pretty early by visiting schools, hospitals, slums, banking and service sectors, to name a few, but it also makes them tougher and better prepared to deal with the “challenging traditional norms and thought patterns”. TISS also works with departments and ministries of both central and state governments, and industries in for-profit and not-for-profit sectors. TISS plays a “constructive role” in helping the “vulnerable sections of the population” by “influencing social policy and programmes”. The FAPs have been of great help to the society. They have helped not only in “highlighting an issue” but also for “initiating policy change and programme development”. Currently, TISS has 38 FAPs, of which at least 10 stand out for their “path-breaking work”, says Bharat. In 1984, the faculty of social work started a special cell for women to provide socio-legal guidance and counseling to victims of violence at police stations. This cell, which started in the office of the commissioner of police in Mumbai, was soon replicated in all districts of Maharashtra and several other states like Rajasthan and Madhya Pradesh. In 1986, an FAP called ‘Child Line’ was set up to help “children in difficult situations to access police help on the phone number 1098.” This “innovative project” has now been taken over by the government, says Bharat. TISS received autonomous status this year, and is now leading the way when it comes to “education for social transformation and action.” Wanting to become “an emerging educational hub” in South and Southeast Asia, it has already started working towards achieving the new goal in Afghanistan and Myanmar, says Bharat. “In the coming years, TISS plans to scale up its ‘Study in India’ programme in the US, Canada and EU, to help students work with communities and build partnerships with grass root organisations. It will also provide students with knowledge to help them understand social movements and lead advocacy for change,” she says.